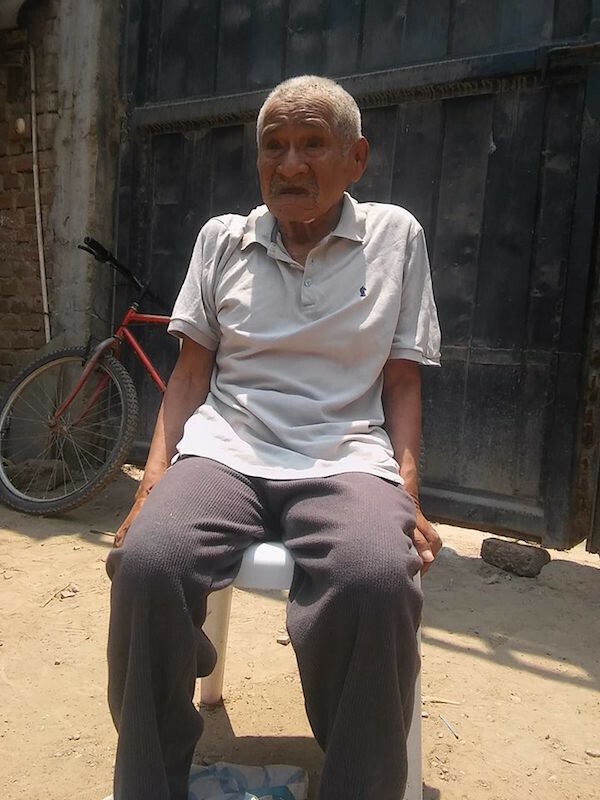 For years, 83-year-old Don Luciano Chuman wandered the streets of Ferrenafe, Peru, looking for safe places to sleep. 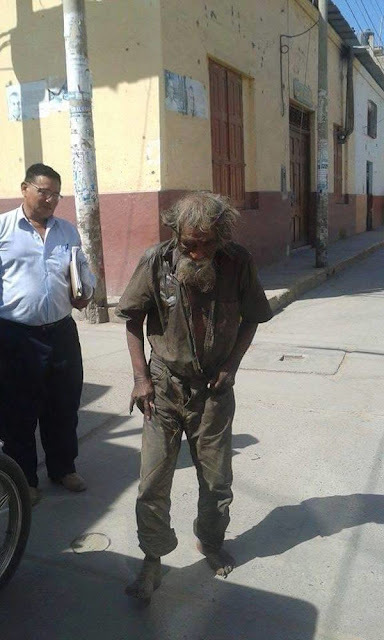 Like many homeless people, he was rarely able to change his clothes or take a shower, so he was covered in filth for most of his life. 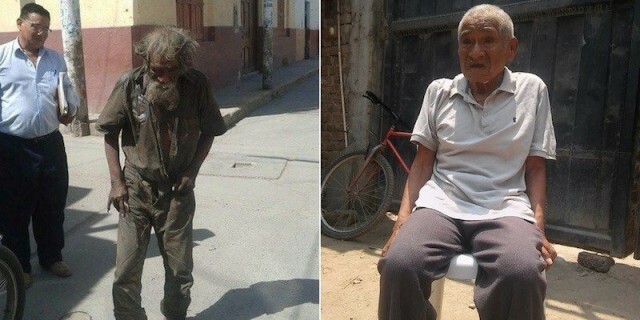 Chuman wandered through the town for years without bathing or changing his clothes. 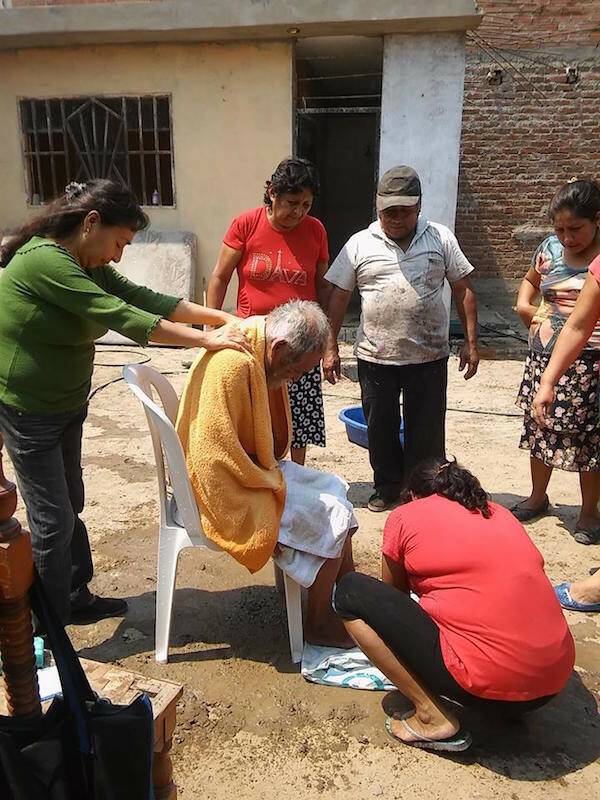 The church community banded together and provided Chuman with a shower, haircut, and change of clothes. But in the end, they gave him so much more than that. 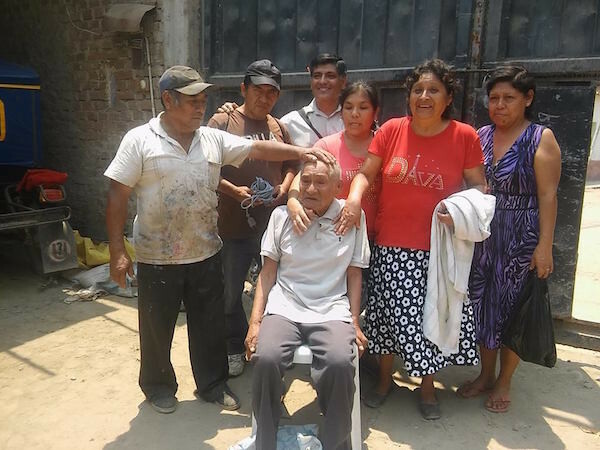 They also gave him some money to get him back on his feet, and arranged for social services to provide him with food on a regular basis. He was also examined at a local hospital. 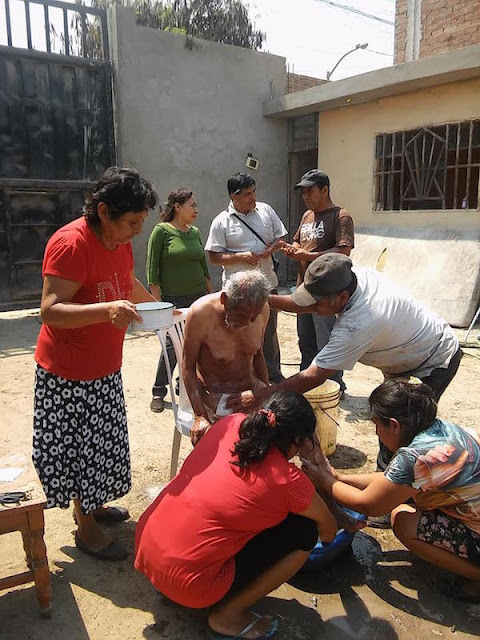 After uploading these photos to the town’s Facebook page, news of the charitable act quickly spread throughout the world. 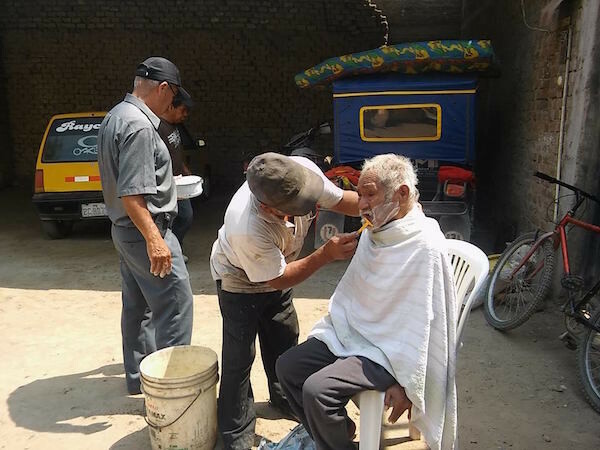 People everywhere lauded the selfless act as an example of how every community should treat their poor and homeless populations.